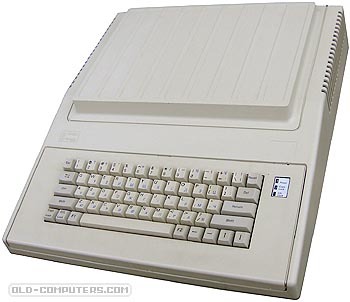 The 8C was the last and most improved Apple II clone version produced by the Bulgarian Pravetz Co. The 8C was actually designed in Bulgaria but most of them were manufactured in Tasjkent, former USSR. The 8C had had same capabilities as the Apple IIc. Its main board offered 64 KB of RAM expandable to 128 KB, only 3 expansion slots but had built-in 80-column card, floppy drives controller, parallel printer port and, depending on mainboard versions, RGB, RS232, Joystick interfaces and real time clock as well. This computer was widely used by Bulgarian schools but also by numerous teenagers who wrote and sent to Western countries one of the first and famous Apple II virus called Dark Avenger. see more Pravetz 8C Ebay auctions !